Due to the continuing progress of the electrification of the RhB network with an AC 11 kV (16 2/3 Hz) catenary additional and more powerful electric locomotives were required to haul the trains on the Albula line in the early 20ies of the last century. The first batch of six locomotives of class Ge 6/6 were purchased in 1921. The commissioning of these locos that were renowned as the most powerful electric narrow gauge vehicles at that time lead to a decline of steam traction on the Albula line. Due to their outstanding service history four additional units of class Ge 6/6 were put into service in 1922, two more followed in 1925 and the last batch of three vehicles in 1929. With the commissioning of the faster locomotives of class Ge 4/4 I and Ge 6/6 II the Ge 6/6 that is also known as "Crocodile" was withdrawn from the express train services and was mainly used for freight traffic from that time. Anyway, RhB's rolling stock was much determined by the "Crocodiles". Thus the remarkable popularity of these locomotives among train enthusiasts. Only with the appearance of the second series of class Ge 4/4 II locomotives most "Crocodiles" were decommissioned after more than 60 years of revenue service. Only three units are available mainly for special charter trains today. Some Ge 6/6 are on display on various sites: No. 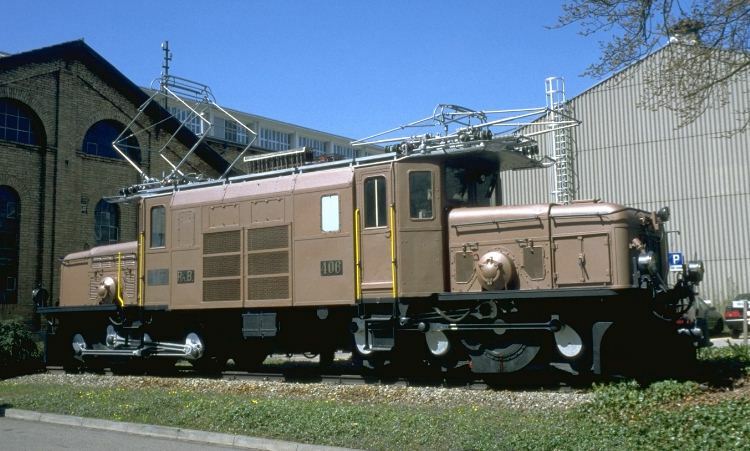 402 can be admired in the Swiss Transportation Museum in Lucerne, 407 serves as a monument close to Bergün station, 406 used to be displayed in the former ABB workshop in Zurich. Today 406 is parked in a workshop in Pratteln. Together with the pullman coach As 1154 the historic Ge 6/6 411 was transferred to the German Museum in Munich in June 2001. Unfortunately 413 was scraped in 1996.